Let’s enjoy Lausanne’s best place: the lake! No worries, we’ll wait the sunny days, but we already have a date so you can put it up your calendar and not miss the mythical PhD and Post-Doc BBQ! Thursday 18th July 2019 at Parc Louis Bourget – starting at 6 PM ! Always at the lake, always with music, food and drinks. Hopefully with sun! Check the BBQ page for more info. Everybody is welcome to this warn event whose only goal is to make you meet your peers and enjoy Lausanne in the summer! Food is offered by ADAS! The 18th of July at Parc Louis Bourget, starting 6 PM ! As every year, we gladly invite you to the ADAS General Assembly, followed by drinks and finger food partly sponsored by the ADAS. New bylaws proposal and last AG PV will be distributed at the begining of the AG. 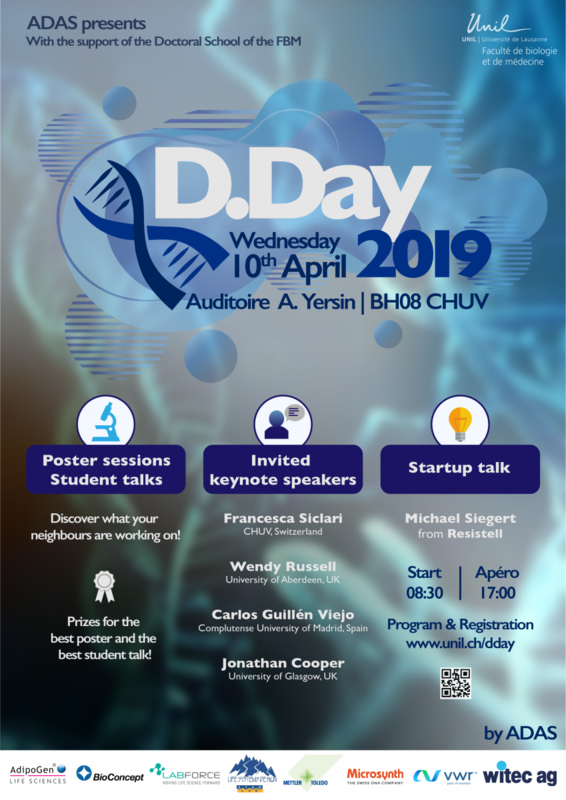 You will have the opportunity to meet fellow PhD students and assistants and discover what the ADAS does during the year! The AG will be followed by an “Apéritif dînatoire” at Taco’s Bar, Rue de Genève 17, 1003 Lausanne. Drinks and food will be served at 8:30pm for a special price of CHF20.- per person. ADAS will be covering the rest of the expenses of the event. You will need to pay directly at the bar. Registration is open, please subscribe by writing to adas@unil.ch. REGISTRATION DEADLINE is on 5th November 2018. Just started at the FBM? As a fresh PhD/Post-Doc you deserve a great WELCOME APERITIF! First round of drinks and tapas is on us! Please let us know if you plan to come by emailing us (adas@unil.ch). End of registration is the 27th of February.